Well done to our award winners this week! They are: Elena (Golden Citizen), Thomas D (Whizzy Worker) and Ellie Mae (Behaviour). It's been a busy and fun last week! We have finally finished our collage of the world and have put up a display, showing some 'people who have positively changed the world' and where they are from. It was very tricky to make the continents and put them together, so the children have done a fabulous job. In our Creative Curriculum lessons, we have been carrying on with our collages of Emmeline Pankhurst and Nelson Mandela. The children have worked really hard, making sure the small pieces of paper are placed next each other. 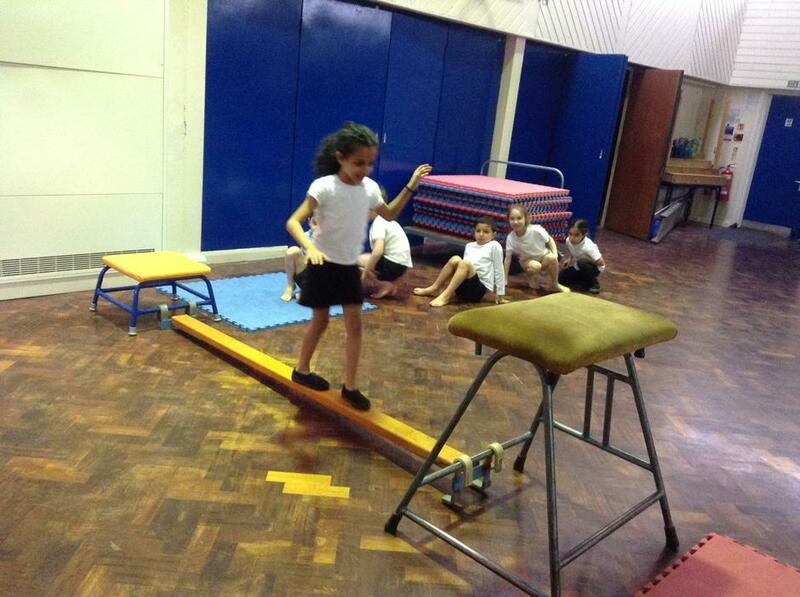 They have also been trying to use different shades of the same colour to add more interest. 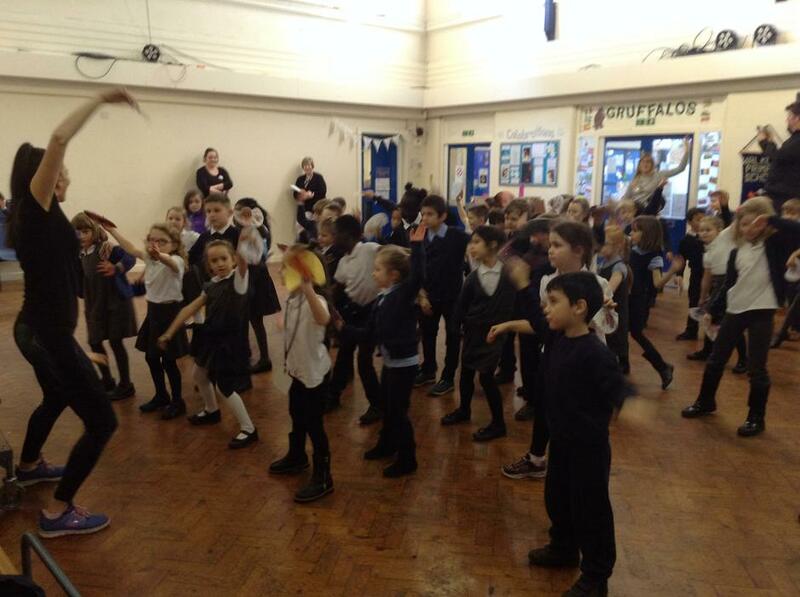 On Thursday, Gruffalos and Stormwhales took part in Chinese New Year dancing. 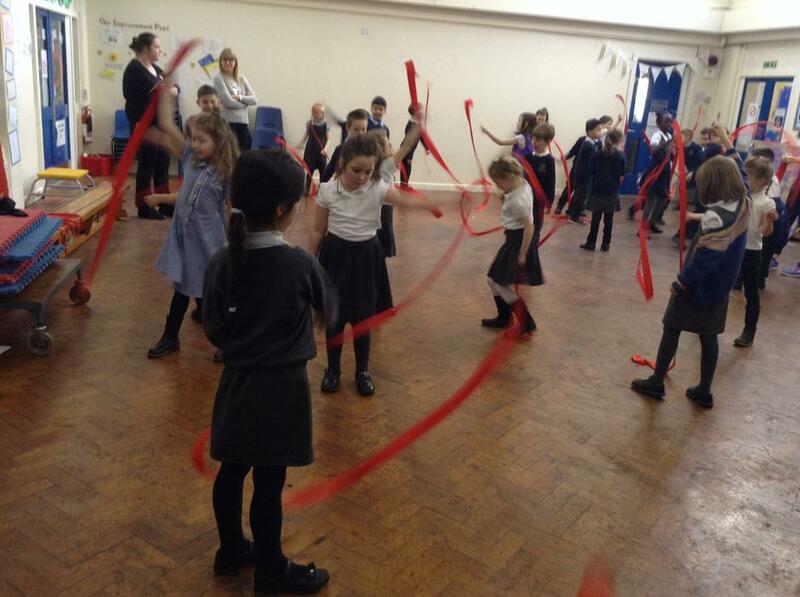 They danced with fans and twirled red ribbons. 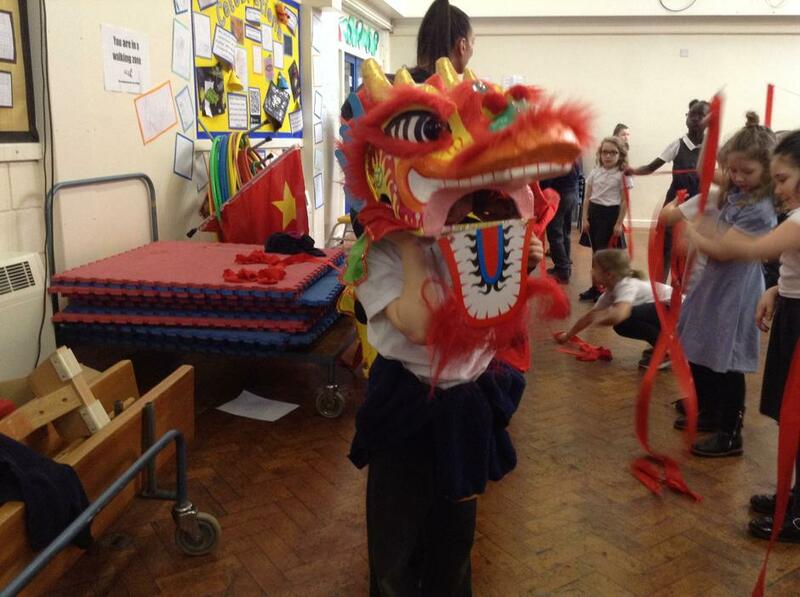 They also had the chance to become dragons and prowl around the hall scaring everyone! 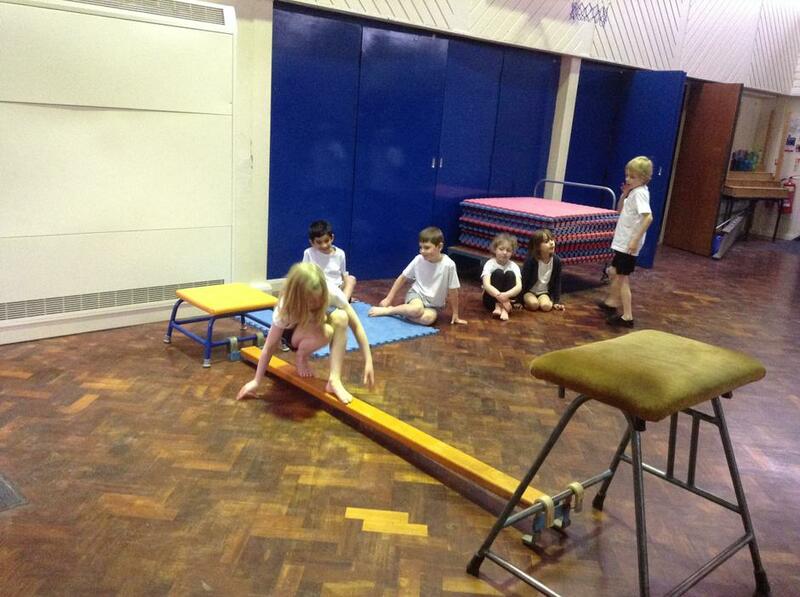 There's no homework this week as we have sent out learning logs for the children to have a go at during half term. We started one of them today, making a fact poster for someone they have learnt about, so they may wish to continue this at home. 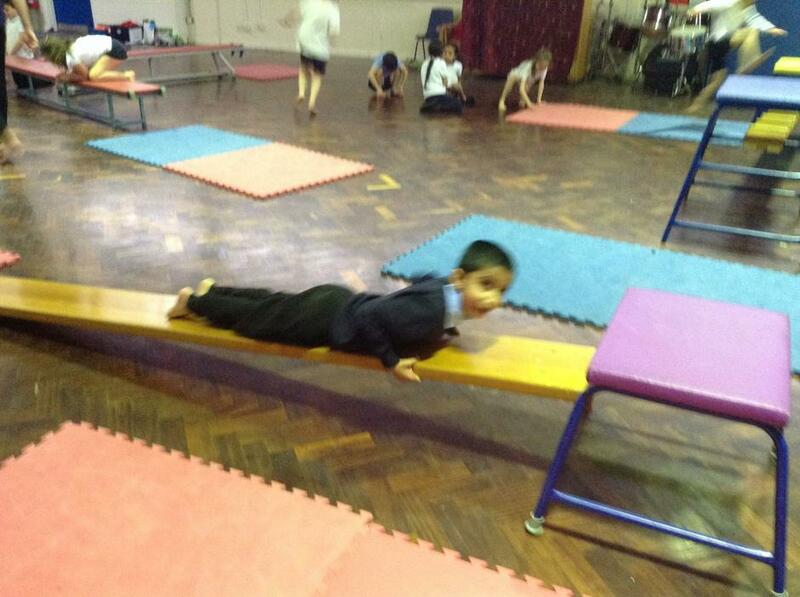 Have a great half term everyone. The last 6 weeks have flown by and the Stormwhales have impressed me so much with their behaviour and attitude to learning. Have a well deserved break! Well done to our award winners this week! They are: Armaan (Golden Citizen), Wentworth (Whizzy Worker) and Lily M (Behaviour). After learning about this, the children made posters about one of the 5 a day with a partner, which they presented to the class. 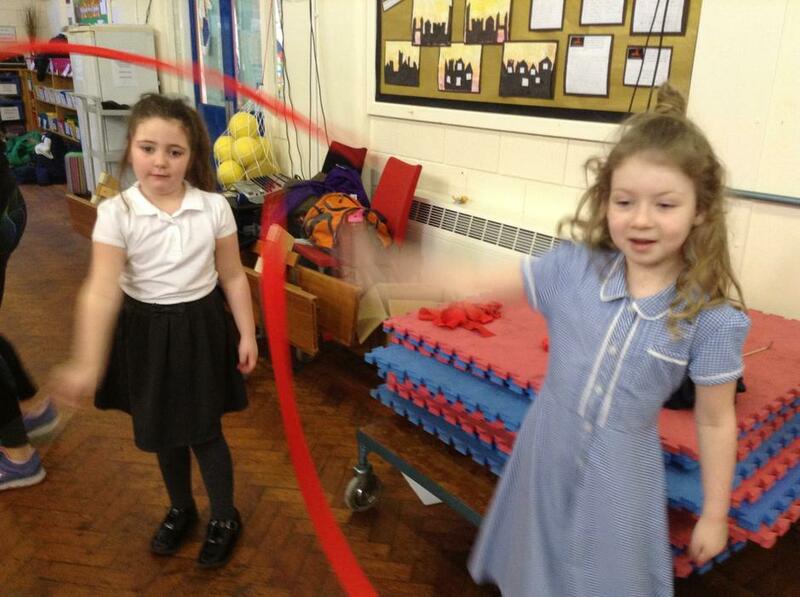 We have mostly focused on being creative this week, as the children have also been helping out with their class blog. 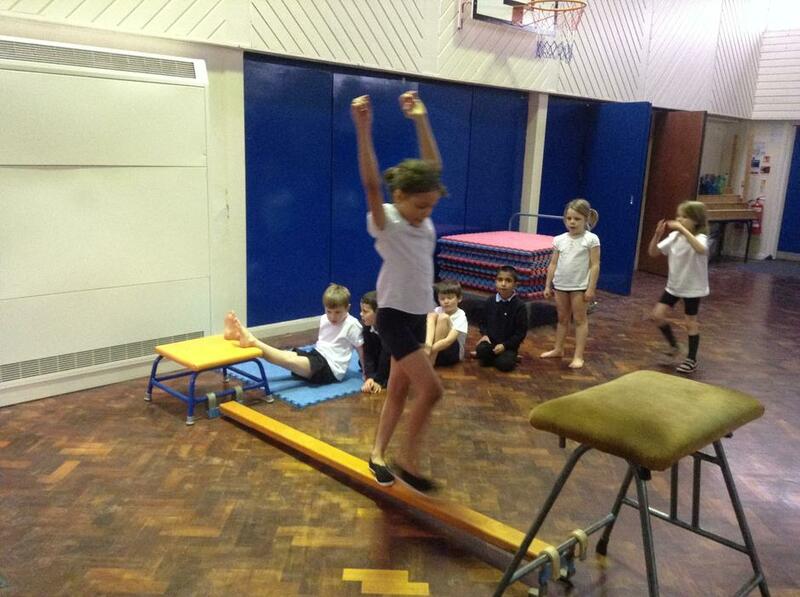 They have written some parts of it (below) and all the photos on this week's blog have been taken by the children. Well done to our award winners this week! They are: Thom (Golden Citizen), Samir (Whizzy Worker) and Ishak (behaviour). This week in Maths we have been working really hard at applying our arithmetic to some reasoning problems and the children have demonstrated a fantastic attitude when trying to work these out. This week's homework includes some examples of these for some further practice. 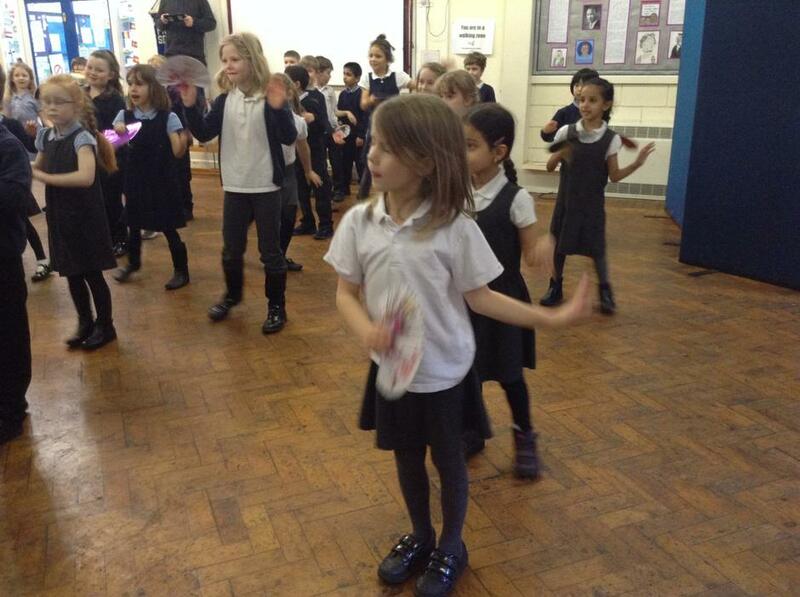 In Literacy and in our Creative Curriculum lessons the children have been continuing to learn about the Suffragettes. 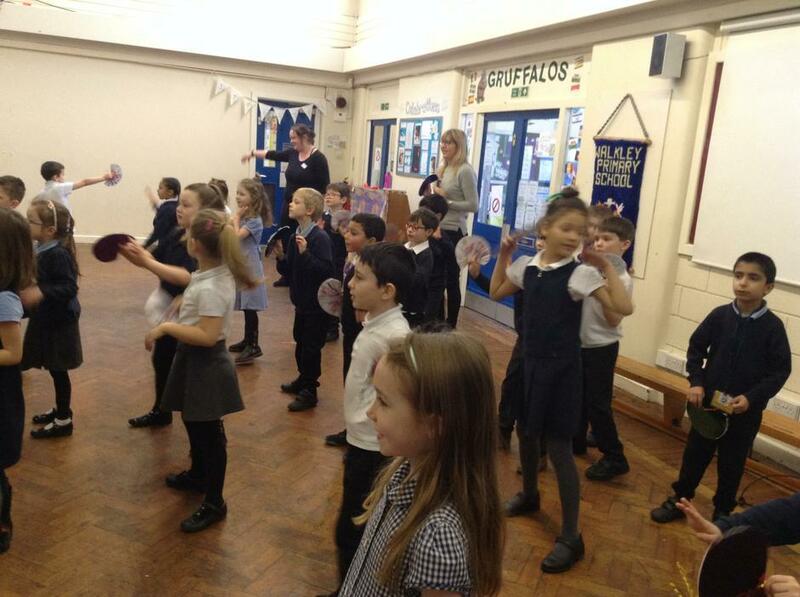 Today, the children got into role as both a Suffragette in prison and a reporter asking questions. We were all working on empathising with the Suffragettes, in preparation for a diary entry the children will write next week. The children also made protest signs. They had to think of a catchy slogan and include some important, strong words, making sure they stood out. In Art, we have been continuing with our collaging, but this time with two of our significant people, Nelson Mandela and Emmeline Pankhurst. The children worked really hard in groups to carefully cut and stick different shades and types of materials. 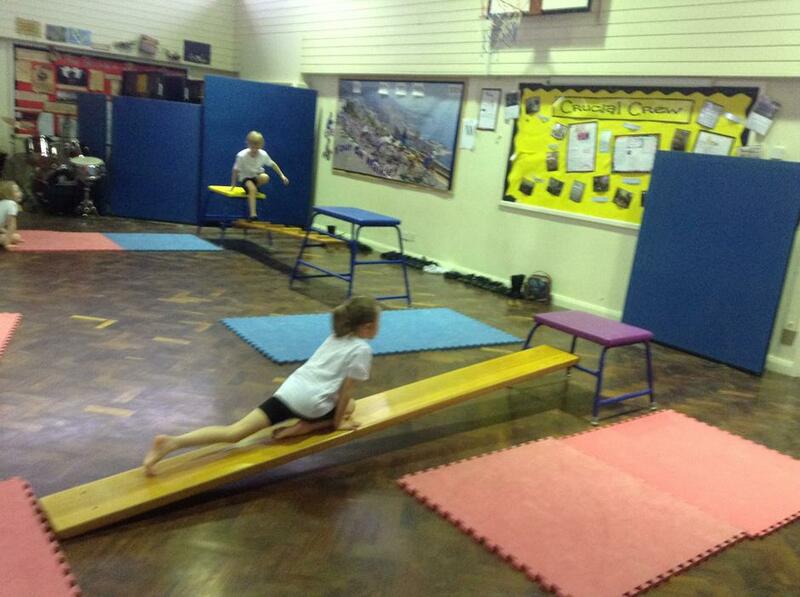 In Gymnastics, the children have been working on moving in different ways on and around equipment. 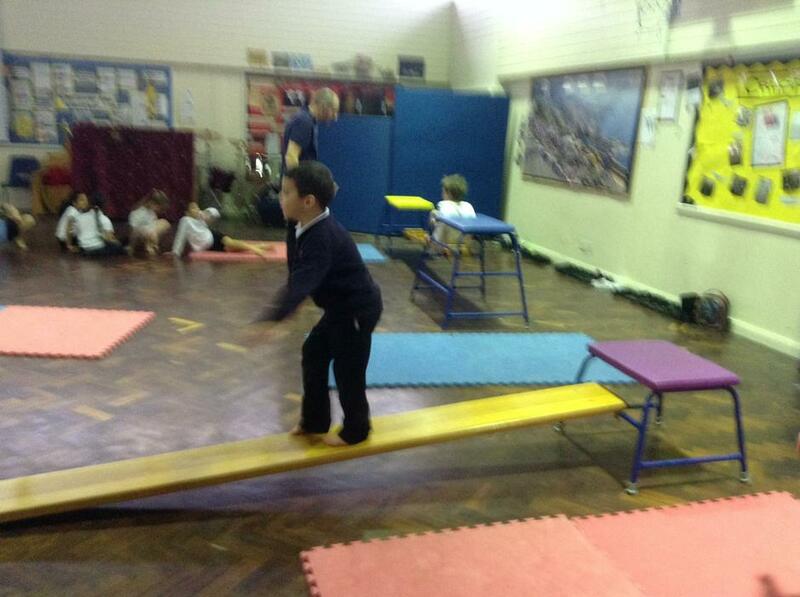 They had to concentrate hard to stay balanced! Well done to our award winners this week! They are: Rio (Golden Citizen), Raiyaan (Whizzy Worker) and Sammy (behaviour). This week we've been continuing to learn about the continents and on Monday the children put their collage skills to the test by creating collages for 6 of the continents (Asia was so big we had to split it into two!) 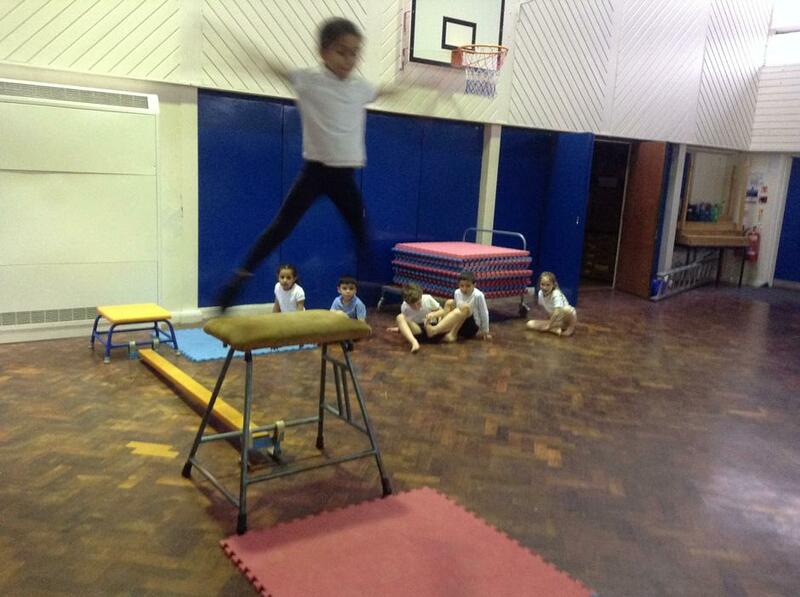 Take a look at their fantastic pieces of work. I'm looking forward to seeing it all together. We also looked at where some of our significant 'people who positively changed the world' were from, and labelled these on a map of the world. The children have also been learning to talk about the location of the continents using the terms 'North, South, East and West'. 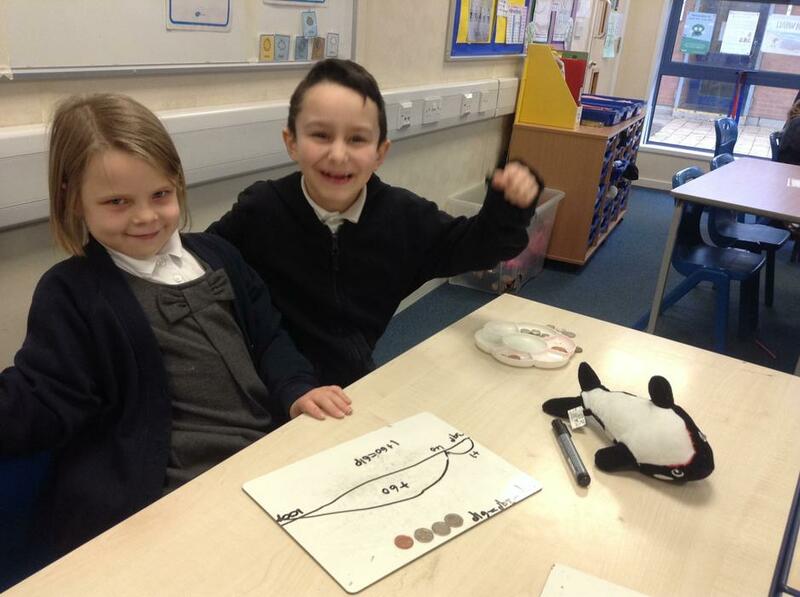 In Maths we've been working on a new subtraction method, using a blank number line. 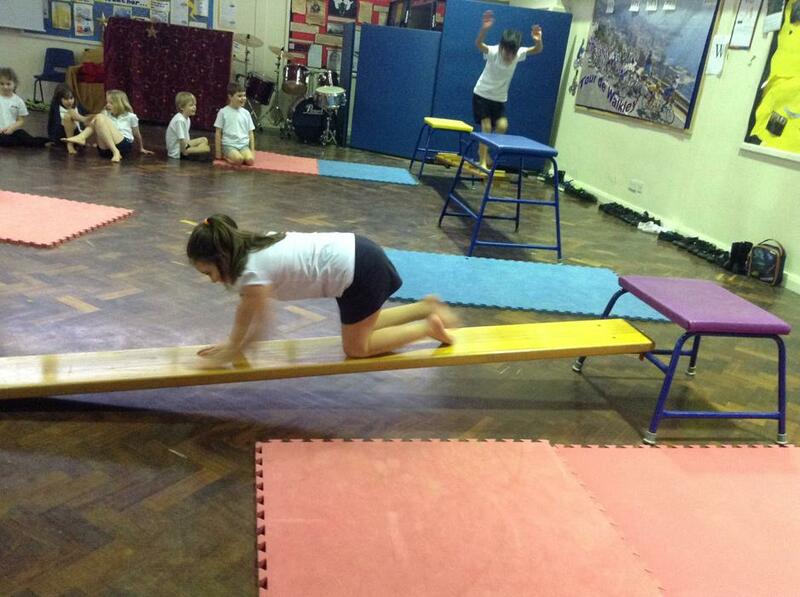 As the children became more confident with this, we moved onto giving change. 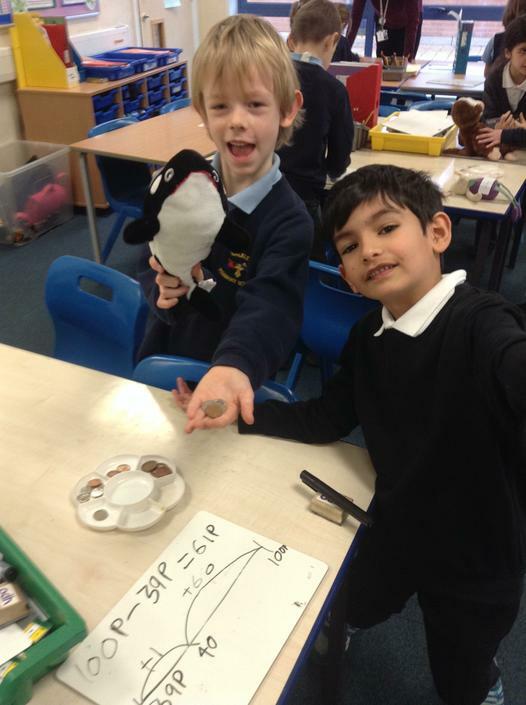 We set up a toy shop in the classroom and children had to work in partners to work out the change from £1. Today, we started our new Literacy topic about the Suffragettes. Some children experienced what it was like to not be allowed to vote, and they all came up with some brilliant thoughts and feelings that women at this time may have experienced. Finally, we have chatted a bit about the upcoming trip to Whirlow. If you'd like to find out more, this PowerPoint displays some photos and information from last year's trip that you may find useful. Well done to our award winners this week! They are: Athena (Golden Citizen), Lilly J (Whizzy Worker) and Thomas D (Behaviour). 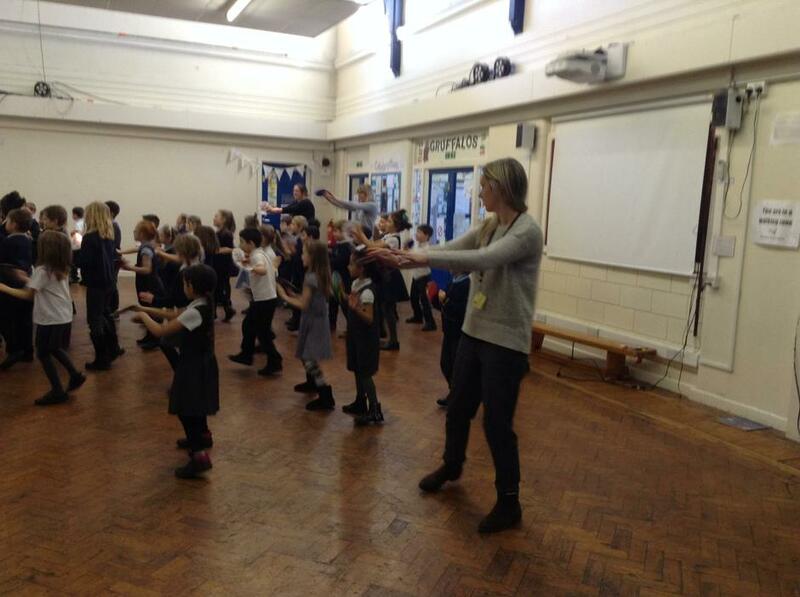 Our first week together without Miss Solinger has been a busy one! Thank you to parents and children for making me feel as though I've been at Walkley much longer than just two weeks, you've all been very welcoming! 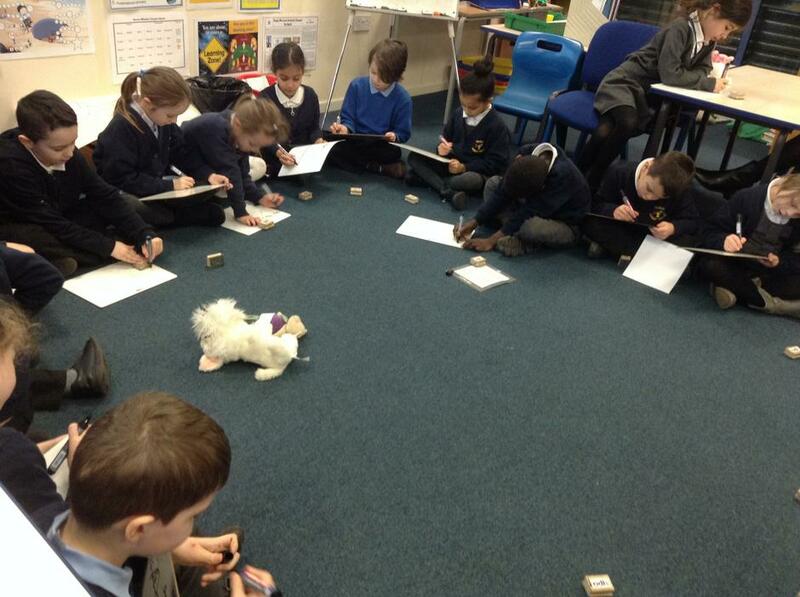 We started the week off with a code cracking problem solving lesson in Maths. 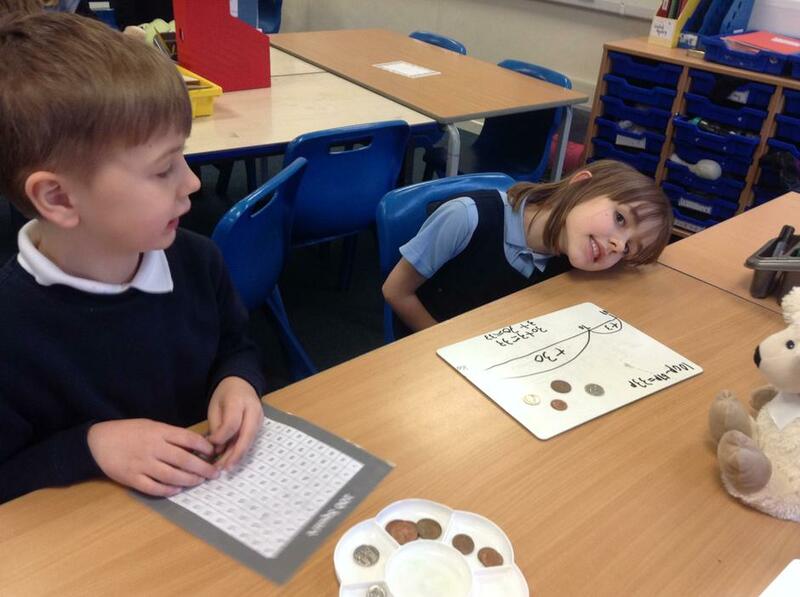 The children had to work with a partner to figure out the number puzzle and put the pieces in the right places. 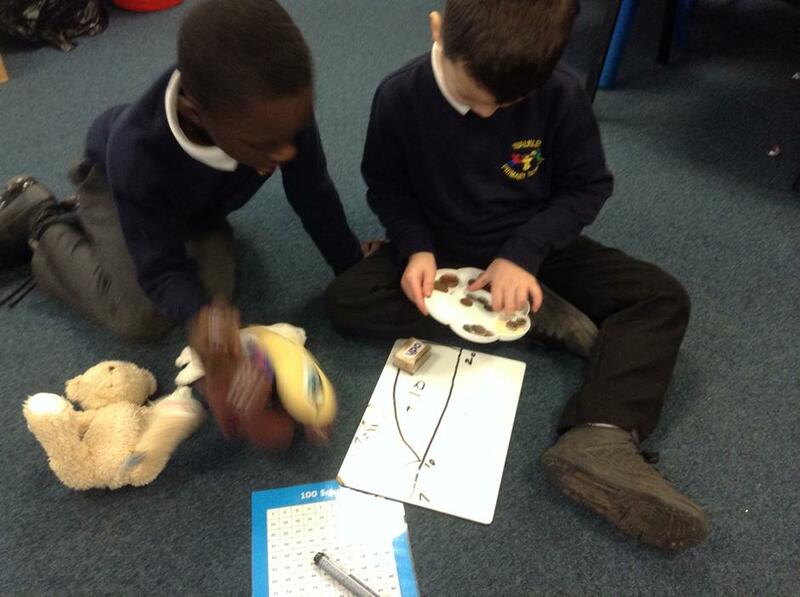 Everyone worked collaboratively with their partner and some children spotted some patterns on their hundred square - perhaps they can tell their grown ups what they found out. 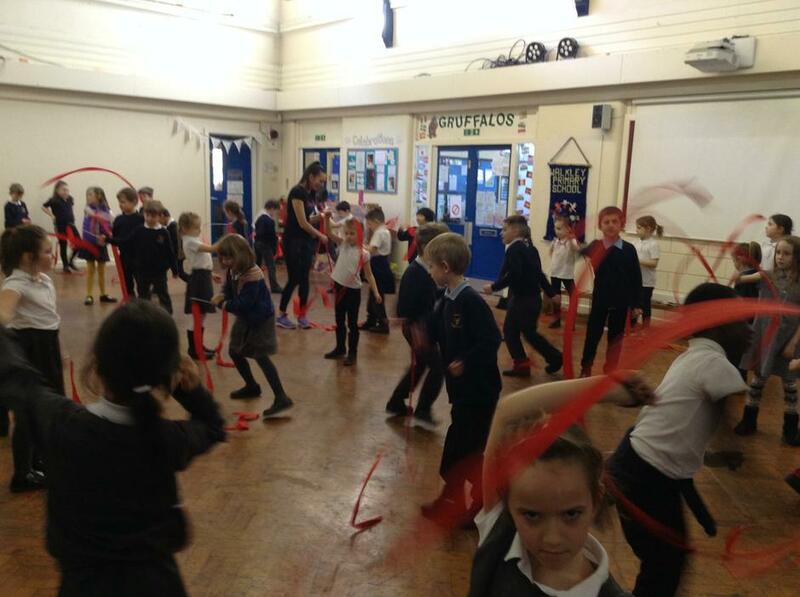 Later on in the week, we learnt about Chinese New Year. We looked at some art work based on this year's animal (the pig) and then children decorated their own pig in a similar style. 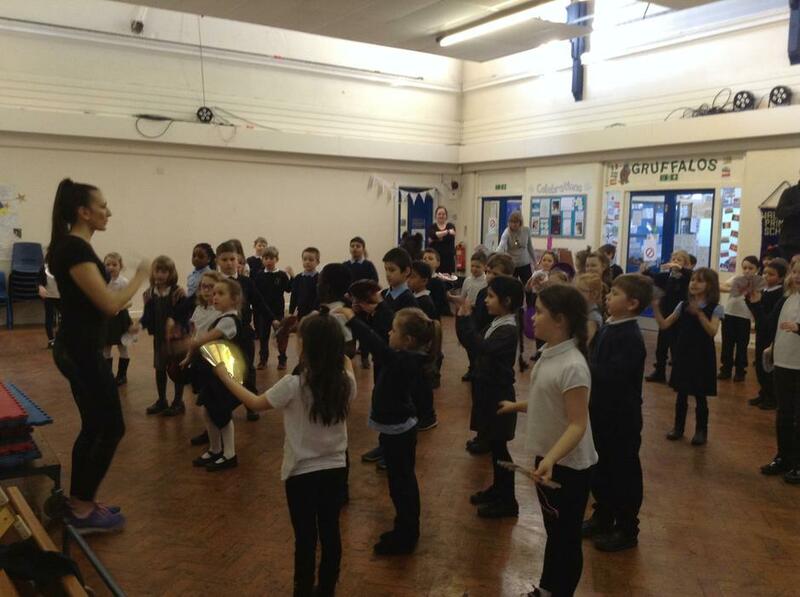 The children were very creative and came up with ideas for their own patterns. Excitingly, the art work will be entered into a city wide competition, with prizes presented by the Lord Mayor of Sheffield! Our Science topic this term is plants, so this week we learnt about plant growth and children planted their own seeds. We are hoping to be able to make a salad out of out plants by the end of the term, but our predictions about whether this is possible were mixed. Some children think the plants won't have grown enough by then and some think they will. So we will have to wait and find out! 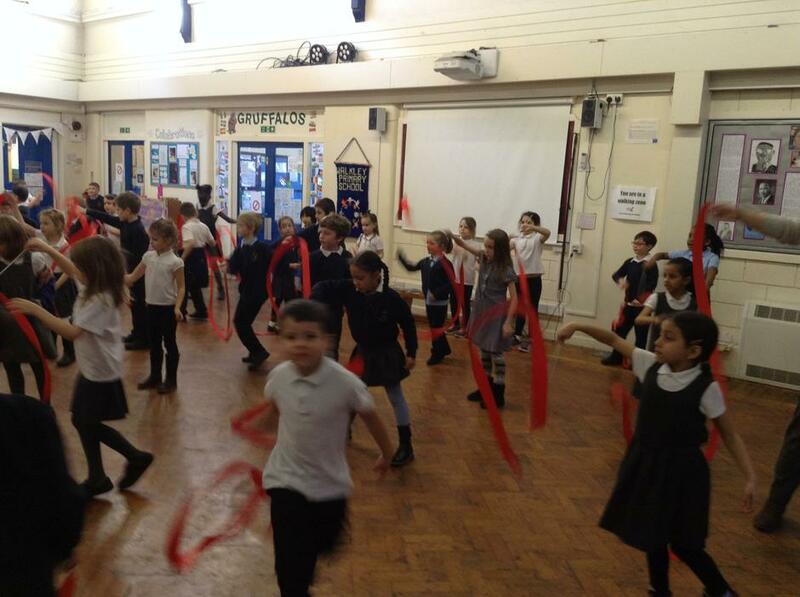 Lastly, we had a very fun Friday afternoon, with children enjoying their class wide reward, which they achieved at the end of last week. 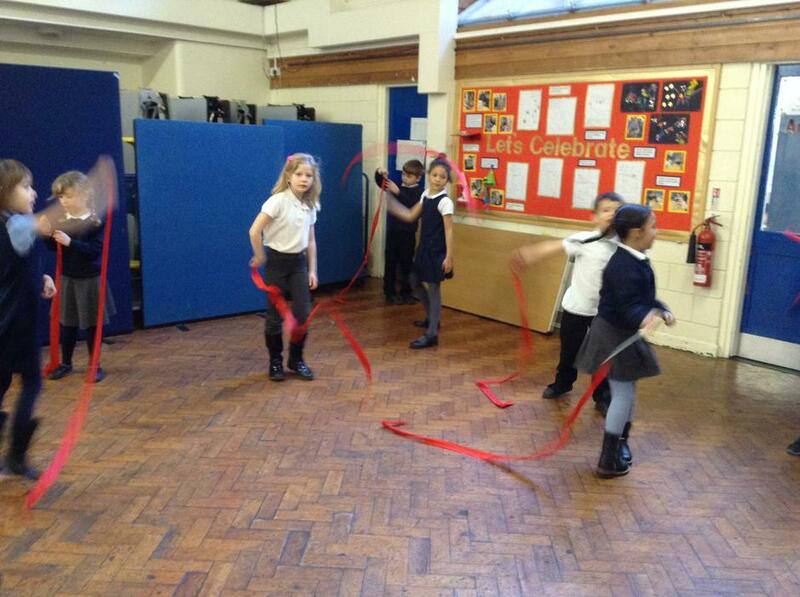 The children decided to play with the games that Santa brought them. This was very exciting as they hadn't even been opened yet! Well done to our award winners this week! They are; Ronnie (Golden Citizen), Betty (Behaviour Superstar) and Savannah (Whizzy Worker). As it is my last day today I would just like to say another huge thank you to all of the staff and parents, but especially the children of Walkley Primary School. It has been a brilliant first term and I will miss the Storm Whales without measure! I know that Miss Robinson and the Storm Whales will have a fantastic Spring and Summer and I will be keeping in touch throughout the year. Thank you so much to the parents for your kind gifts; baby boy Solinger will look super cute in his formal wear! 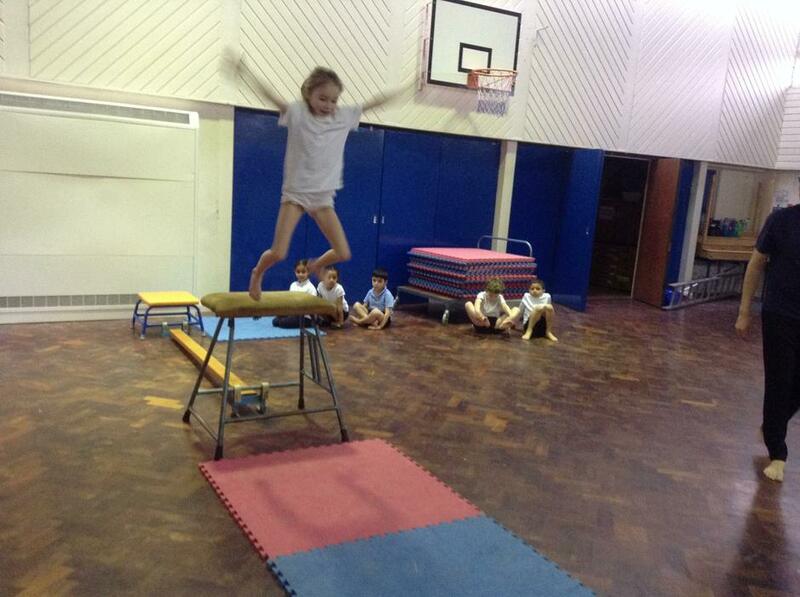 We are off to a flying start in Storm Whales this term. On Monday we were visited by non other than Dr. Martin Luther King Jr (extend your imaginations, please). He made a special trip all the way over from Atlanta, Georgia to talk to the children about his very important role in the Civil Rights Movement and how he worked tirelessly throughout his life to make the world a better place. 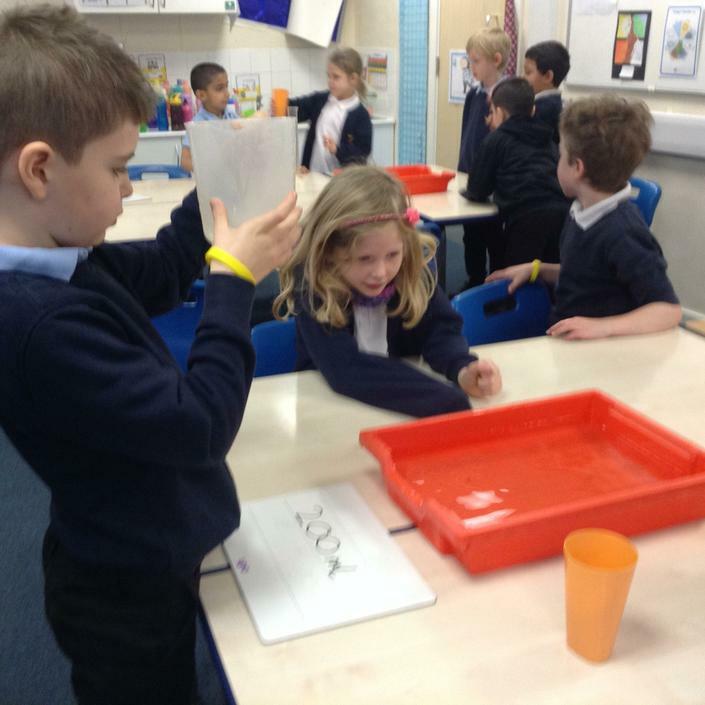 The children asked great questions and then recorded what they had found out. A visit from Dr. Martin Luther King Jr.
We have then continued from this visit by compiling everything we have learned about the Civil Rights Movement to write a report for the United Nations, showing off our expertise as historians. The children worked collaboratively to share everything they have learned about three very important figures; Ruby Bridges, Rosa Parks and Martin Luther King, who all made great sacrifices to make the world a more equal and fairer place. 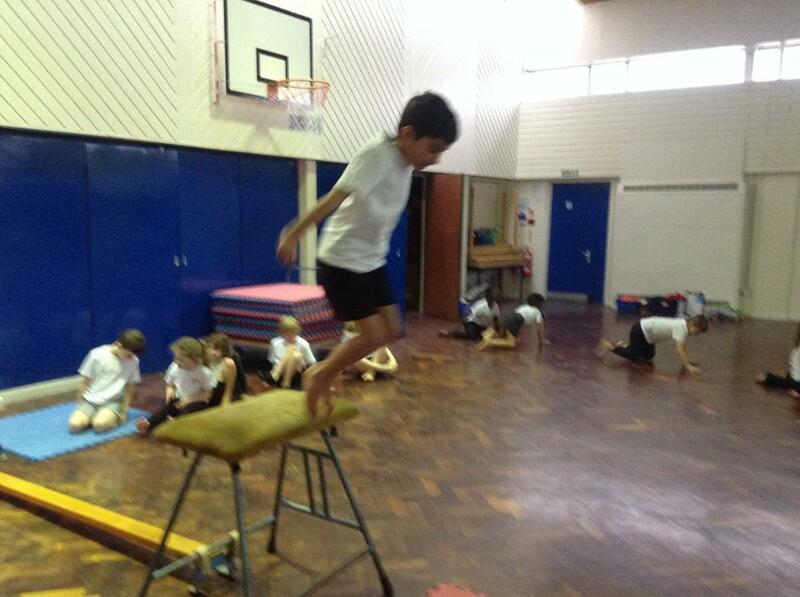 In maths, we literally jumped in at the deep end with some capacity work. 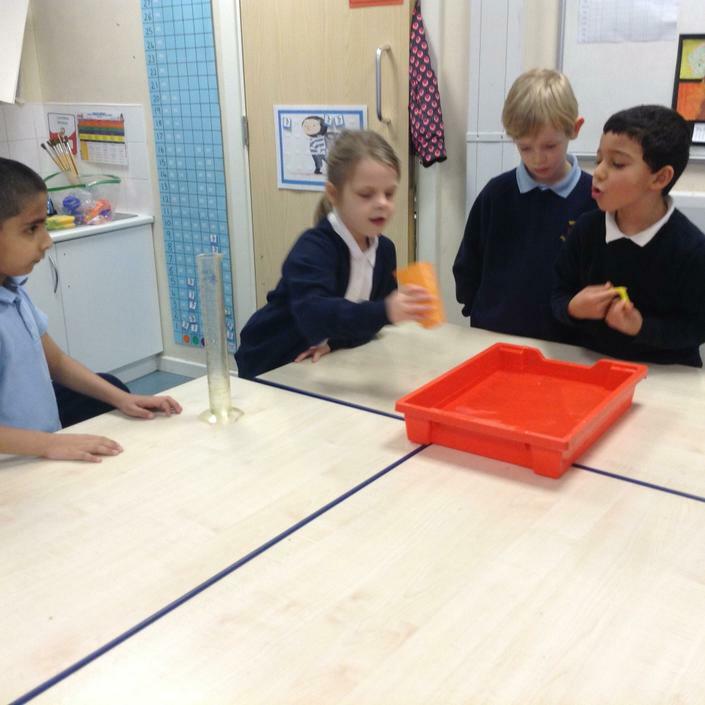 The children explored scale and measure and estimated different amounts that containers would hold. 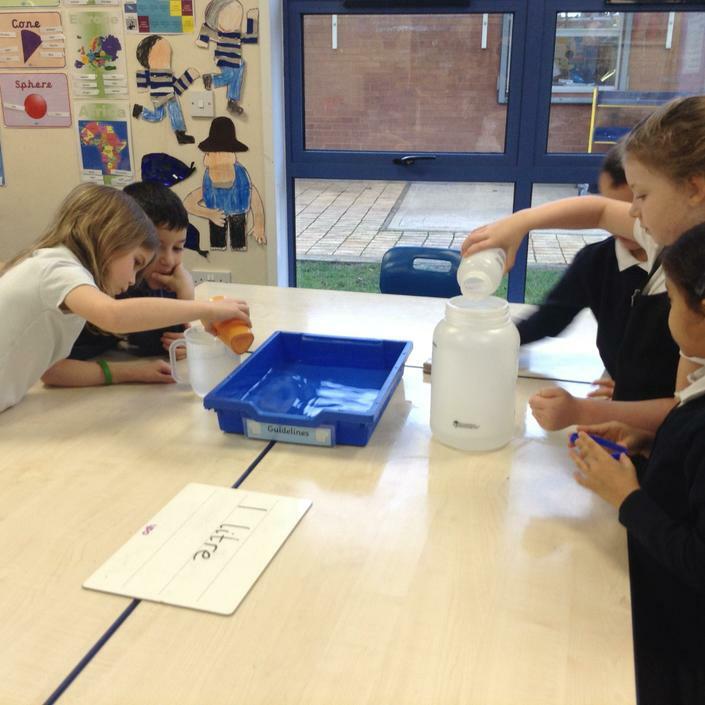 Try practising at home by asking your child to measure out different liquids using a measuring jug. 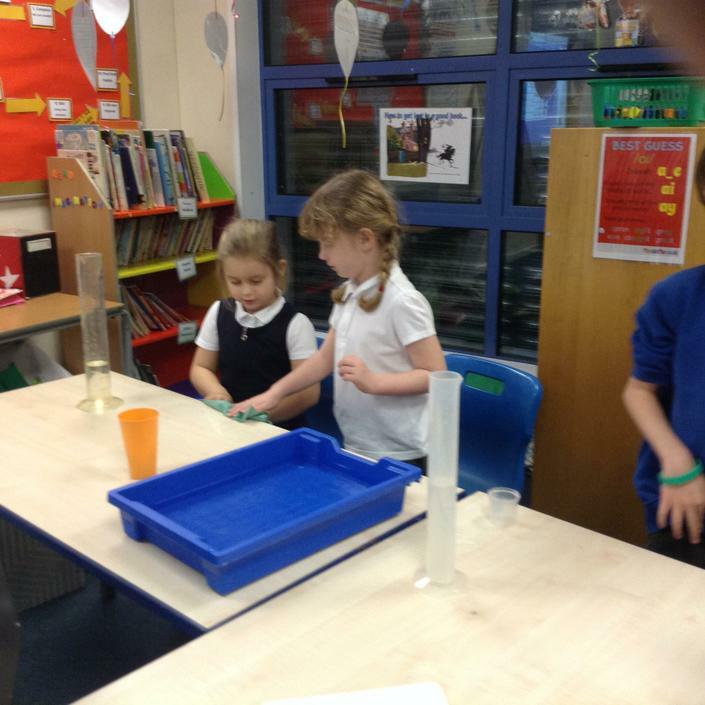 You could even make some very interesting potions, using different amounts of various liquids. We have been continuing to practice our collaging skills in art this week by creating Matisse style leaf collages. The children work with a partner to cut and collage leaves onto black card with very striking results!